World Sports Journalists Day is a global professional observance held on July 2. It was established by the International Sports Press Association (AIPS) in 1994 to mark the 70th anniversary of its foundation. There are hundreds of thousands of sports fields on the planet, and some stunning events unfold there every hour. Thanks to journalists’ promptness, impartiality and talent, millions of fans around the world receive information, make their choices, form their opinions. This day has been earmarked as the official day of celebration because of its significance as the date when the International Sports Press Association was established at the 1924 Paris Olympics. The term “sports journalism” refers to a form of writing that reports on sporting topics, it is an essential element of any news media organization. There are a lot of national and local associations of sports journalists aimed at maintaining high standards of sports journalism. Sports journalists from all over the world are united by the International Sports Press Association (Association Internationale de la Presse Sportive, AIPS). 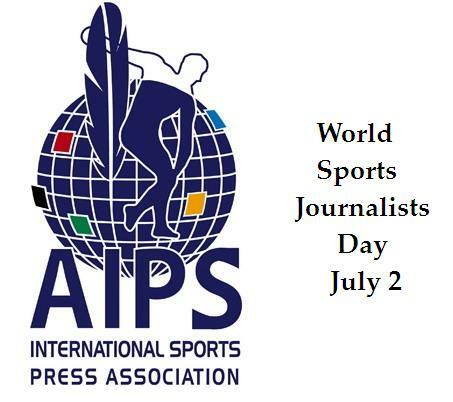 World Sports Journalists Day was created in 1994 to commemorate the creation of AIPS and to celebrate the achievements of members of the sporting media. It aims at encouraging sports journalists to strive for excellence in their work and to set an example to the world – not only to the world of sport, but to the world at large. Sports journalism is an integral coverage matter for every media group. Sports journalism involves organizations dedicated only to different sports covering dailies, like L’Equipe in France, La Gazzetta dello Sport in Italy. It has become a global business and the handsome amounts of money are involved from sponsorship and in the staging of the Olympic Games and football World Cups. These events have attracted the attention of well-known investigative and skilled journalists. The nature of the relationships between the subjects of sports journalists reporting and sports journalists is quite sensitive. Most of the countries have formed their individual national association for the sports journalists.